Christine Nuessle, PMP, co-founded Bravium in the summer of 2010. She leveraged more than 10 years? experience working for Accenture, managing large-scale IT implementations and operations in the public sector, to establish a company that combines the deep knowledge of a big consulting firm with the agile, accommodating service available only as a boutique provider. Christine?s direct, straight-forward communication, technical expertise, enthusiasm, and strategic perspective are at the core of Bravium?s culture and drive for excellence. 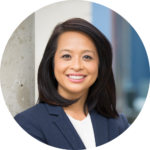 Her passion for solving technical challenges and personable approach encourage collaboration and engagement with consultants and clients. Prior to co-founding Bravium in 2010, Ryan Nuessle, PMP, was an executive at Accenture focused on border protection and biometrics for the Department of Homeland Security. Ryan has more than 10 years? experience as a technical architect, system engineer, and technical project manager with proven, technology-based solution implementation capabilities. Ryan?s deep technical and management expertise has benefited clients across a variety of public organizations and private industry verticals including health-care, defense, state and local agencies, engineering, and legal. 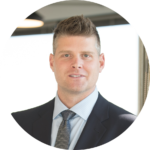 Ryan?s dedication to excellent customer service and tailored solutions drives Bravium?s commitment to client satisfaction and exceeding expectations.